Hello. This is a thread that i hope will encourage people to register and post on our forums. Your post doesn't need to be very serious, but perhaps you can say one nice thing about why you like or enjoy our guild. Everyone who posts will be entered in a random lottery for one of the following prizes from SincerelyKrystal's Hidden Weapon Cache - a UV'd autogun, brandish, flourish, or ultra rare proto bomb. I'm kinda new to Lionheart, but i love how people are all friendly, makes the guild feel much more homely. When I first joined this Guild, I thought it was going to be a Lousy Guild (Which it isn't) I was sort of using it to wait for a Better Guild but could not find one. So I just stayed, I stayed for a week and realised it isn't actually that bad. I became a Member and interacted with more of the other members in the Guild. People are friendly and the guild is active! This guild is like a home for me! This is why I love Lionheart! Thank You Mawashimono and Lionheart Members for this awesome time at Lionheart! thanks every body in lionheart for being nice and online! Because Lionheart Guild IS BEST GUILD! I joined Lionheart because of Madhan (he already left for whatever reasons.) with Cannonknight (My friend IRL.). When I first joined, I met a lot of great people and made lots of friends. The online rate of Lionheart is pretty high too. Soon Rendo joined us and I felt like having a family here as all of my close friends in SK were all gathered here. Uni grew faster than when he wasn't in a guild. That was because guildies here are helpful and kind. There are also lots of interactive. So yeah, Oorah! Because it is the best guild ever. Of all time. It's also my first guild so I don't have a lot anything to compare it to. But who gives a crap! Lionheart is so awesome it's above such trivialities! Alright, so before I get any sillier, the reason I love Lionheart is very simple. It makes me feel comfortable. I'm not usually the greatest at socializing. But I don't seem to have that problem here. Everyone's really friendly and helpful, and they answer my questions when I have them instead of making fun of my not knowing. I think the thing I like most is that I get to help other people too. It's nice to be able to contribute what I can. So those are my reasons and what makes this guild so very awesome. Before joining Lionheart I didn't really play as actively as I do now but now its kind of given me a place to spend my time at. Aside from other places, Lionheart is actually willing to take time to help newer players understand and learn the game rather than shun them for not knowing how to play. I like being able to help people. It gives me a break from the endless Vana grinding. But with all that said, the main reason I've grown fond of Lionheart was because of the people. Its the community that keeps Lionheart alive. 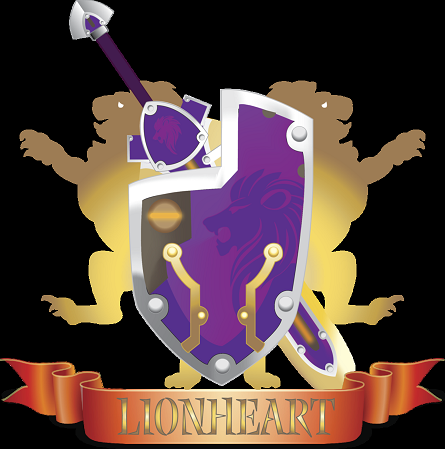 After coming back from quite a long hiatus I was already looking for a community to help get me back into the flow of things and I'm glad I've chosen to stay with Lionheart. you can always find a friend. And the best part is the sheer amount of fun people! Always something to do and talk about! No one's said this yet? I'm sure everyone at least considered writing this, but no one did. So, I'll take it if no one else wants it. "I like Lionheart because of all the contests, prizes, and lotteries!" only because the guildies helped me when i started, i was able to progress so fast. Also lionheart has its own site well u cant find that everywhere. great gm with super smooth system, no harassing, epic guild hall,........ this list will never end. Thank you to everyone who posted and to GM Krystal for the prize donations. Everyone got a Brandish or Flourish with a UV. Please feel free to continue to post in this thread as you want.